Shows all of the boundaries, disputed and accepted, that India shares with surrounding countries. 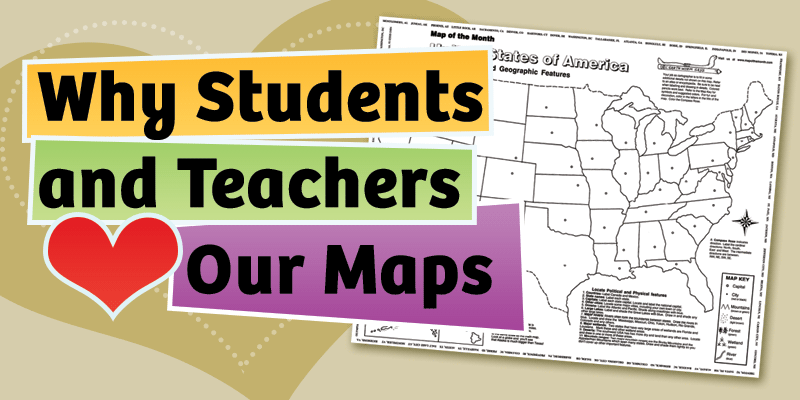 All of the hands-on map fun that makes learning– and teaching!– geography easier. 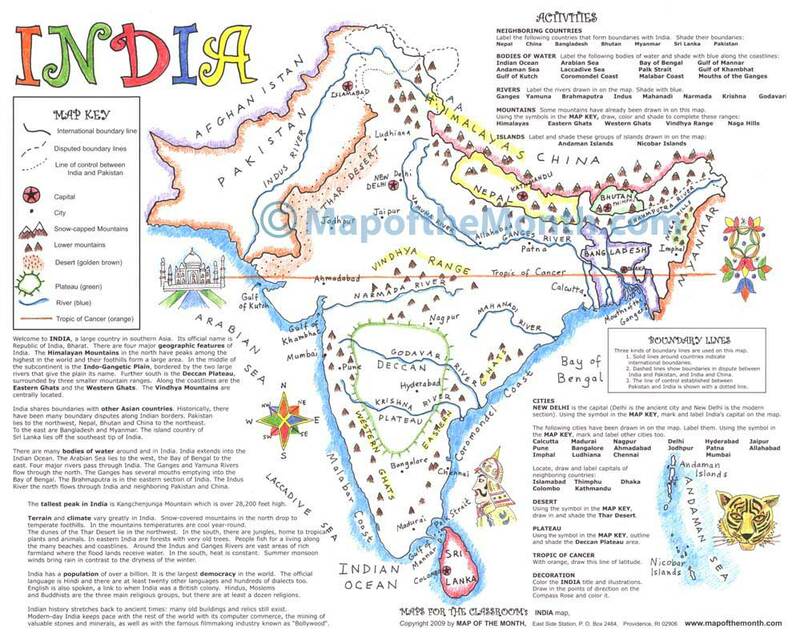 We offer a FREE web-based digital “INDIA Map Challenge”, to be used with your computers, projector or smartboard! This digital file allow you and your students to work even more in-depth with this hands on activity map. Adds information about geography, animals and culture. 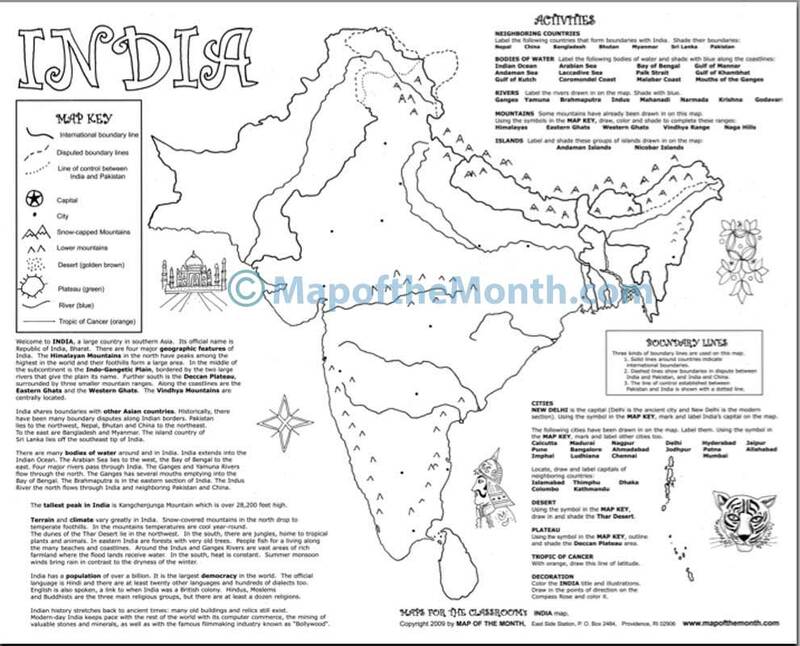 To see the MAP CHALLENGE for INDIA, click HERE! 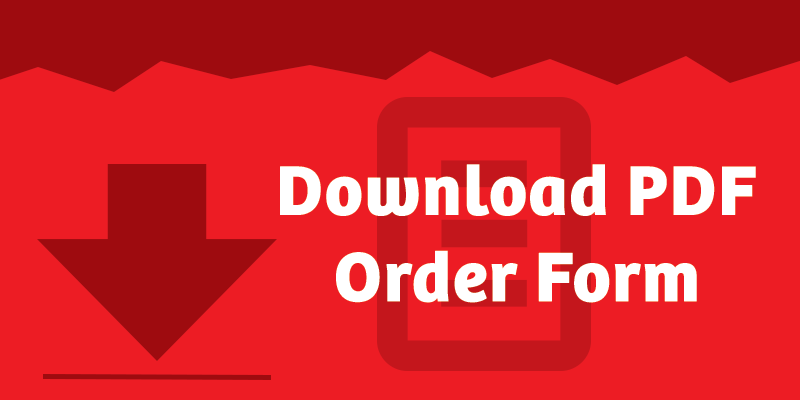 Be the first to review “India Map” Click here to cancel reply.